In part-1 (https://www.mysecondinnings.in/2018/12/my-scandinavian-odyssey-2015-part-1.html), I had mentioned about my 5 days in Denmark and Norway. Now further continuing this Scandinavian journey to Sweden and Finland. Today we said goodbye to Norway and welcomed Sweden. Our first destination was Karlstad - one of the sunniest towns of Sweden. 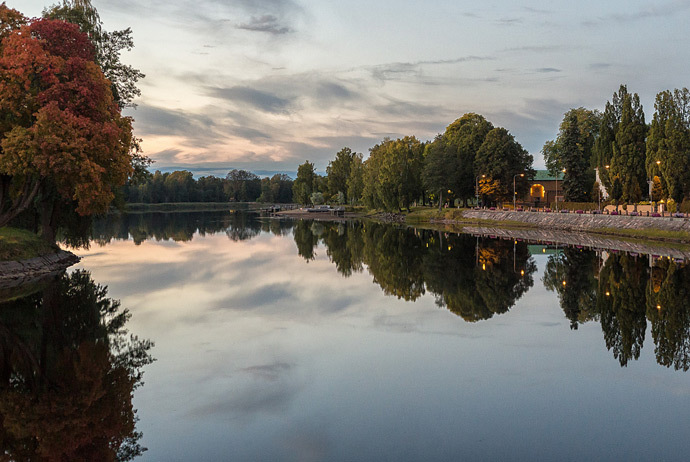 This picturesque town is based on the shores of Klaralven River and is aptly located between Oslo and Stockholm. As it receives a lot of sunshine in summers, the symbol of this city is a Happy Sun. After our breakfast we checked out of Quality Expo hotel in Oslo and boarded a bus for Karlstad. It took us about 4 hours (including an half hour stoppage) to reach this beautiful town. After checking in Scandic Klaralven hotel, we headed straight to the town square right in the middle of the city. The square has a peace monument in the form of a huge statue where a woman is standing with a broken sword. There were a lot of shops and cafes where people were enjoying Fika - a Swedish culture to enjoy coffee and sweet (usually a cake) with their loved ones during afternoon break. The biggest shopping centre and an Ikea store can be located on the outskirts of the city. We headed to the shopping centre to check some local stuff. In the evening, we came back to our hotel and picked up cycles which was being offered by the hotel for no charge. Karlstad is also a cycle friendly city and offers a multitude of cycle paths. We cycled in the nearby areas soaking in the pleasant evening environment and the calmness of this city. Later we went for our dinner in a local restaurant and headed back to our hotel. Today after breakfast we headed to Stockholm and it took us about 3 hours to reach there. After checking in Quality Naka hotel we went straight to City Hall, which is the venue for the Nobel Prize banquet, that is, this place hosts the dinner after the Nobel prize ceremony is concluded. One can enter this hall only by taking a guided tour. 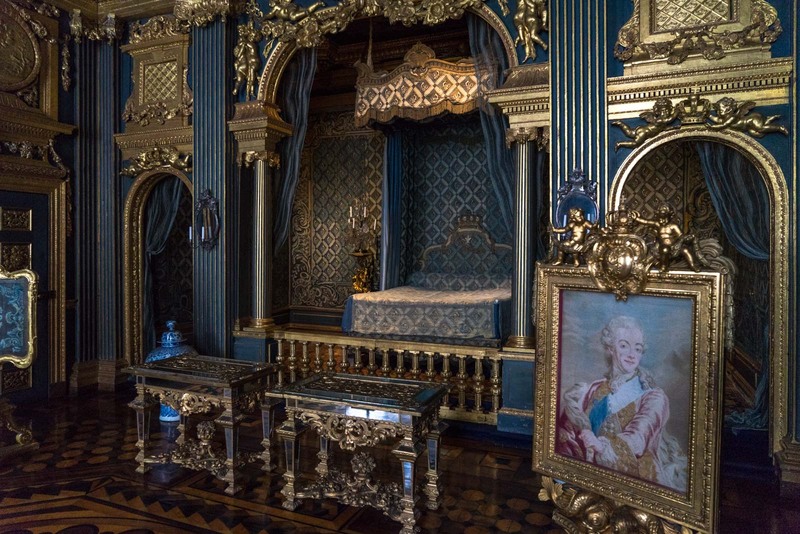 The most significant room in this hall is the Golden Room. Once the Nobel Dinner is over, the guests are invited to this hall for dance party. It was already late afternoon and we decided to have a quick lunch at a local pizzeria outlet. 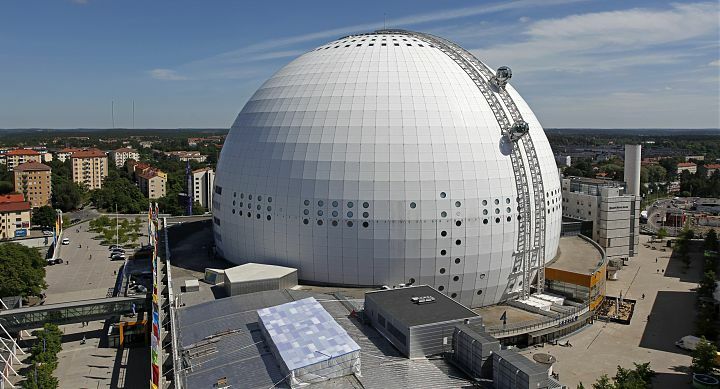 We then headed to Skyview which took us to the top of the world's largest spherical building namely Ericsson Globe (around 130 meters above sea level). There are 2 special designed glass gondolas operating in every 10-15 minutes. On reaching the top we got mesmerizing views of Stockholm. After staying for half hour we went to see Gamla Stan - Stockholm's old town. 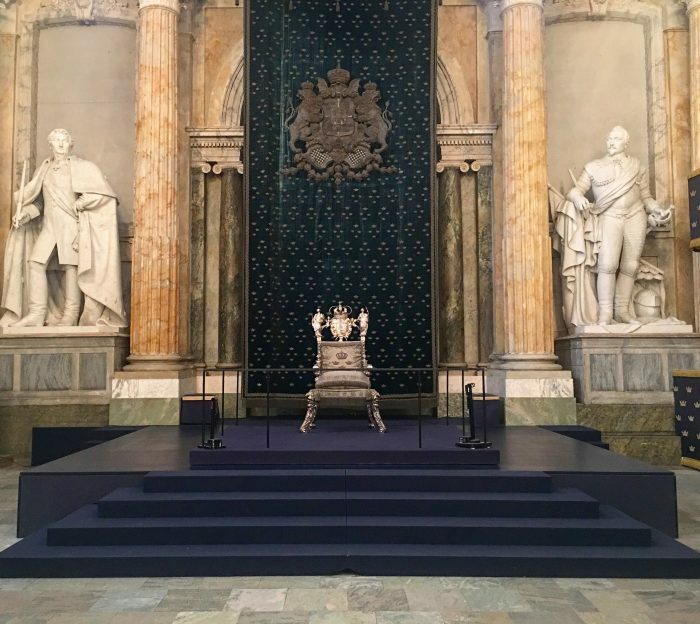 The first thing we witnessed here was the Swedish Royal Palace, which houses the offices of the Royal Family. We went briefly inside to check the silver throne and managed to get a glimpse of it. We now wandered around the cobbled narrow streets and it gave us a feeling of medieval times. It was completely packed with shops, galleries, cafes and restaurants. We had our dinner at a local restaurant in the old town before heading back to the hotel. Today our time was limited till late afternoon as we had an overnight cruise to catch to Finland. 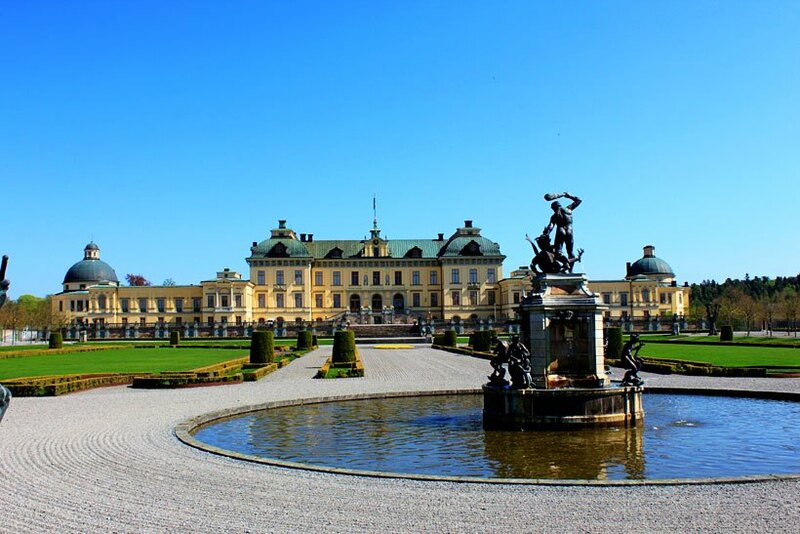 So we started early and went first to Drottningholm Palace - the private residence of the Royal Family and is also included in the UNESCO World Heritage site. It was a huge palace with an extraordinary architecture well supported by a splendid garden. The rooms in the Southern Wing are not accessible, while rest of the palace is open for public. We passed through several rooms, each enriched with history either on the walls, ceilings or artifacts on display. The beautiful gardens are divided in to three sections - The Baroque Garden, The Chinese Pavilion and The English Garden. Due to paucity of time, we only saw the Baroque Garden which was the nearest of the lot. The garden is divided by box hedges and has a fountain in the center. Tip: The palace is around 12 km from the city centre and you can choose either public transport or a boat to reach there. The entrance fee can be covered by a Stockholm Pass. We now headed to the famous Vasa Museum, where the wrecks of the 17th century Vasa warship are still intact. Vasa warship sank in her maiden voyage a few hundred meters from the dock. The ship sank due to weather conditions which is why it was pulled back and restored as it was largely intact. We walked on various levels of the ship getting a view of the historic sculptures, woodwork, and designing of the 17th century. The ship is well preserved in this maritime museum which also houses other artifacts such as cannons and clothes. The museum also showcases a 20 minute video depicting the story of Vasa and I suggest you should not miss it. 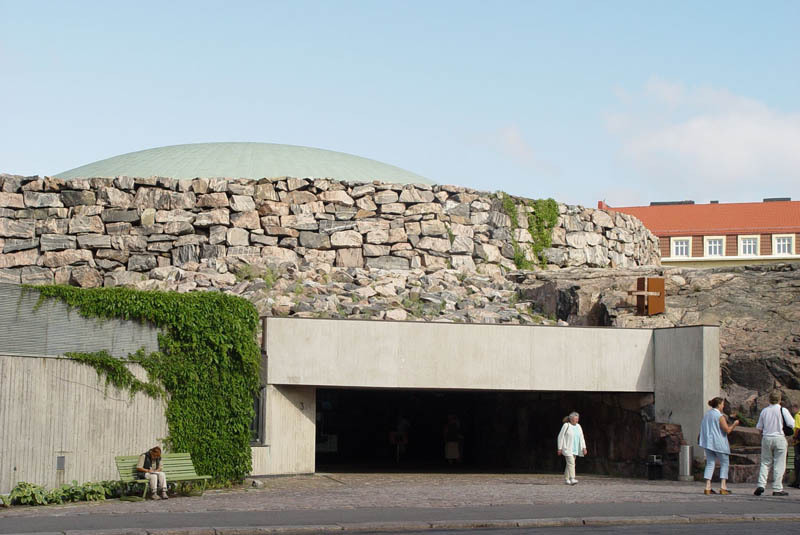 The entry fee of the museum is SEK 150 for adults. It was almost late afternoon when we exited the Vasa Museum and now we headed to the port to board our cruise to Helsinki. The bookings were made for Tallink Silja Line. The ship was huge housing hundreds of cabins, duty free shops, bars, kid zones, etc. As the ship started we immediately went to the upper deck and were overwhelmed as we pass through a cluster of small islands also known as Archipelago. At night there was buffet dinner, however, limited options for vegetarians. There was also a live band performing to entertain the guests. The cruise runs on a daily basis from both Stockholm and Helsinki and the price varies depending on the season. We reached Helsinki in the morning around 10 and went straight to Holiday Inn West hotel. After relaxing for some time we went for the city tour. Our first stop was the Tempelliauki Church, also known as The Rock Church. 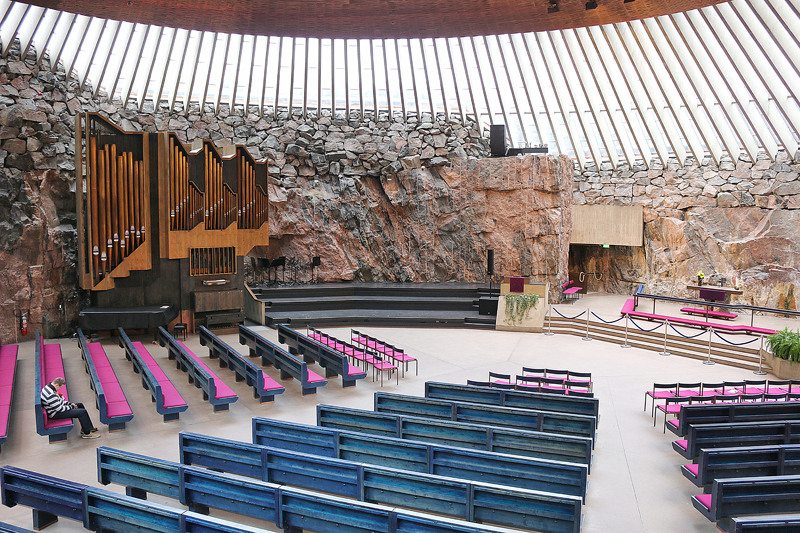 The church was built inside a huge block of natural granite. I was really surprised in seeing this creation as I had never witnessed something like this before. Below pictures will give you a glimpse. Our next destination was Sibelius Park, named after Finnish composer Jean Sibelius. The park has a huge steel monument made of hundreds of steel tubes depicting the shape of a musical wave. The park was quite and peaceful and we strolled around the park for sometime. After spending an hour at the park, our next stop was the Senate Square post which we decided to have lunch. After lunch we headed to Porvoo, A UNESCO World Heritage site located 50km of Helsinki and the second oldest city of Finland. 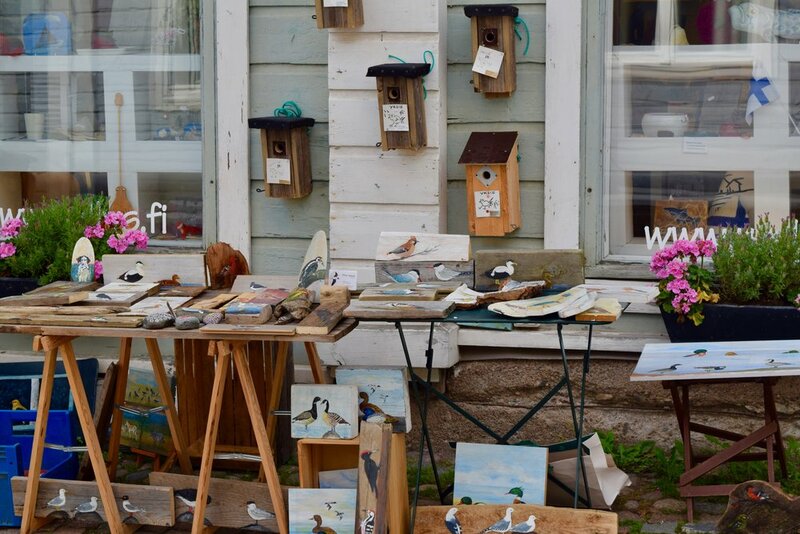 Many tourists make day trips from Helsinki to this tiny and beautiful town. The town is concentrated with numerous colourful wooden houses which was a treat for our eyes. The cobbled stone roads were narrow, clean and easily walkable. We strolled around the city and found handicrafts shops, antique shops and cafes on either sides of the roads. The way shopkeepers decorated their shops and windows was in itself a delight to watch. In my opinion, it is a must visit place whoever goes to Finland. To get best view of this picturesque town, cross the old bridge to the other side of the river. In late evening we headed back to Helsinki with a heavy heart. I really enjoyed the peaceful Poorvo more than the cosmopolitan Helsinki. We had our dinner at an Indian restaurant and then proceeded to our hotel. After having breakfast we proceeded to the airport to board our flight to India. I became nostalgic while reminiscing those 10 days in Scandinavia and enjoyed penning down this memorable journey. The region has something to offer for all age groups and charms the tourists with their mountain ranges, stunning landscapes, majestic lakes, picturesque old towns and exclusive culture. The best time to visit Scandinavia is between May to September, when days are longer and weather is pleasant. Northern lights are seen in winters, so if the aim is only to see Northern Lights and low temperature is not an issue, then one should go in winters. Public transport is good in this part of the world and BnB's are also common which helps in saving a huge amount of cost. While Denmark, Norway and Sweden have their own individual currencies (Kronas), Finland's official currency is Euro. Its better to get Euros exchanged for the respective country's Kronas as Euro are not accepted everywhere.